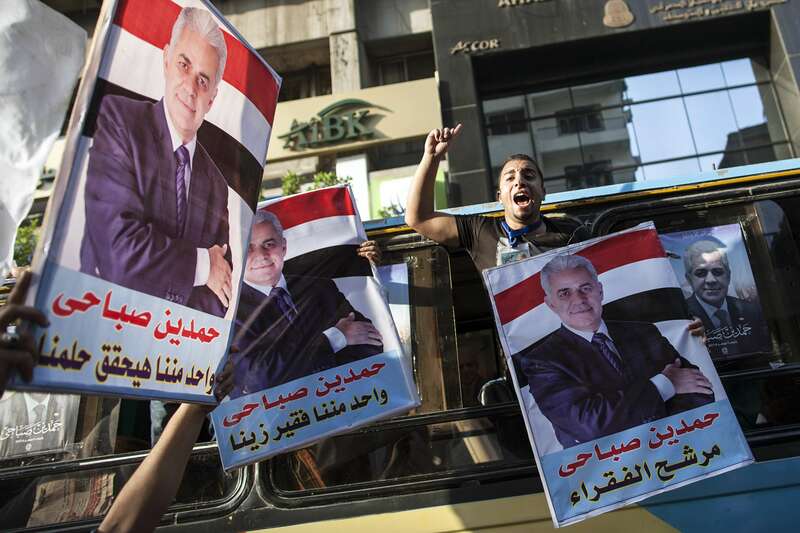 Supporters of Egyptian presidential candidate Hamdeen Sabbahi (portrait) shout slogans during a campaign rally in Cairo, on May 23, 2014. 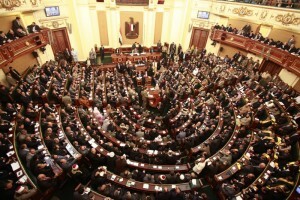 “The electoral campaign shall commence from the date of announcement of the final candidates´ list, and shall last until two days before the date set for voting,” the article states. 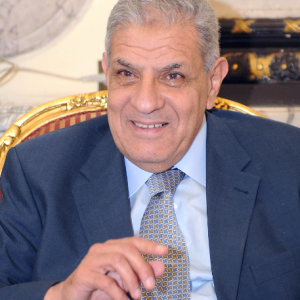 He called upon voters inside Egypt to participate in the elections regardless of their vote, calling the elections “a manifestation of the will of the Egyptian people”. 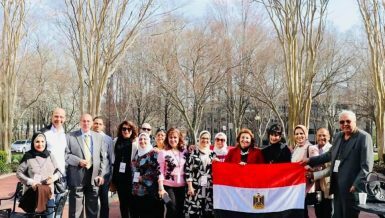 During the last rallies, Daily News Egypt spoke with some of the supporters of both candidates asking them about the reasons for their support. 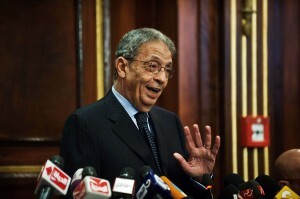 Marzouk added that if Sabahy loses, the campaign members and Sabahy himself will be protected from political persecution by the people. 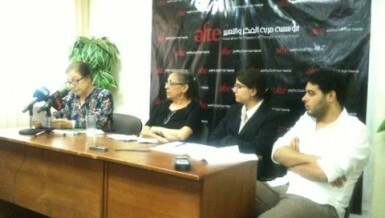 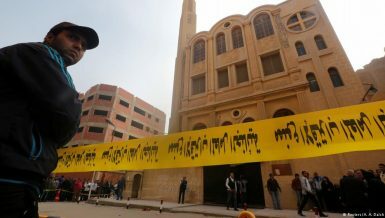 “Sabahy was detained 17 times and this has not discouraged him from pursuing his dream,” Marzouk said. 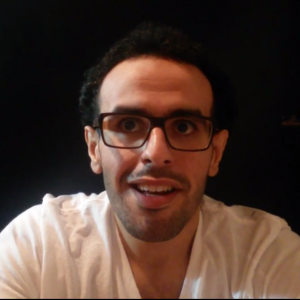 Ahmed Abdel Moniem, physician and novelist, said he finds it “unlikely that Sabahy wins, especially since the media and state institutions are supporting Al-Sisi and misinforming public opinion.” He added that he perceives the vote coming down to either endorsing the democratic camp or the police state, and a reason for which he said he plans to vote Sabahy despite not agreeing with his entire platform. 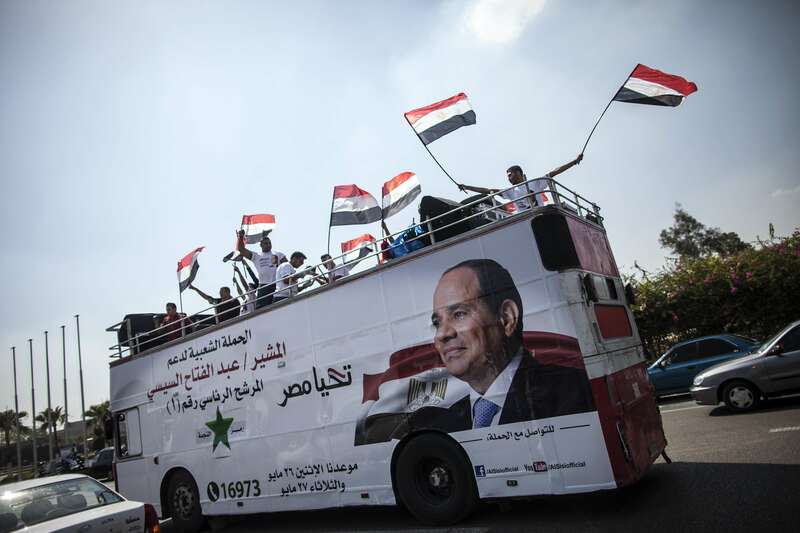 Supporters of Egyptian ex-army chief and leading presidential candidate Abdel Fattah al-Sisi wave national flags from the top of a bus covered with a giant portrait of him during a rally in his support on May 23, 2014 in the capital Cairo, few days the nation goes to the poles. 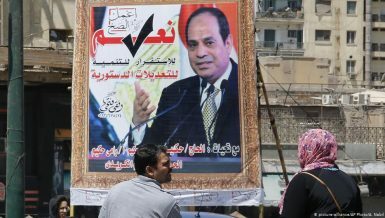 Al-Sisi supporters held two small rallies in Tahrir Square and in Galaa Square in Dokki on Friday. 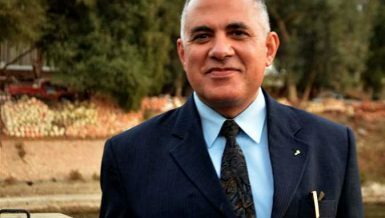 Production chef Ossama Rashed Fahmy, 39, shared his respect for Sabahy but said that he would not vote for him because he is “not qualified” at this stage. 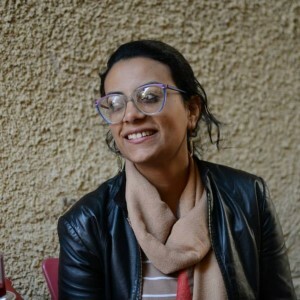 Om Hisham, a house wife who had once supported ousted president Mohamed Morsi because she was under the impression he was “a pious man”, said that she was not bothered that Al-Sisi did not share his platform and she felt confident about a military man following the footsteps of Egypt’s second president Gamal Abdel Nasser.